What is a 3D print farm? Why use a 3D print farm? Save on costs – 3D printing has zero setup costs! Unlike injection moulding, the technology doesn’t require a mould tool to start producing parts. Projects can get going a lot faster and the cost is determined on a per-part basis. When looking to get a few hundred or thousand parts made, the cost of the mould can end up being prohibitive to the project. At this stage, 3D printing can bring a refreshing air of feasibility on those riskier projects, enabling more projects to flourish! Change your design on-the-fly – If for any reason your design needs tweaking – no problem! You can easily update your CAD file and receive updated parts within days. No need to dish out £10,000’s on moulds. This design flexibility allows you to continue improving your design whilst continuing to sell units. What’s more, you can also change material and colour anytime, whereas with injection moulding you will often require a new mould to compensate for the varying shrinkage ratio when the part is made. Rocket to Market, Faster – Getting a mould made in China to produce 2,000 parts then waiting 6 weeks for your parts to arrive? 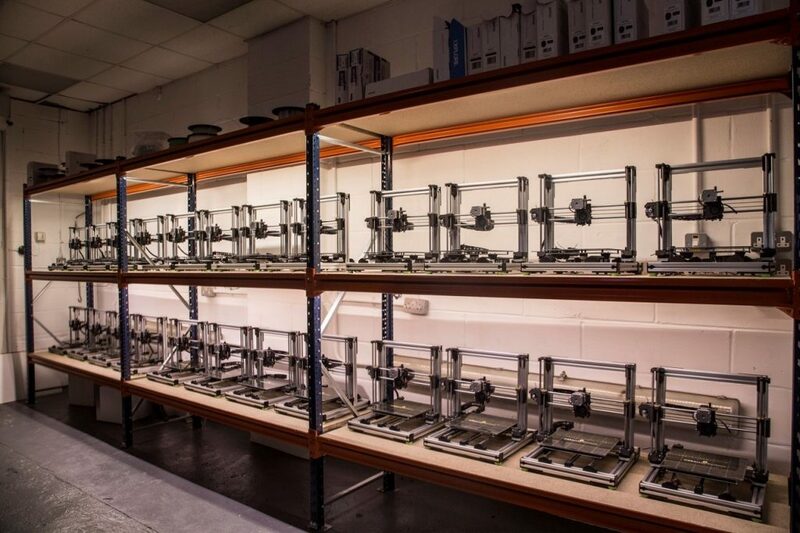 Now you could save both money and time getting your parts 3D printed here in the UK. Prodpoint is a manufacturing company based in Clopton, Suffolk, who initially started up as a prototyping service (two printers). With the demand for batches growing continuously, the company expanded to what is now an array of 30 printers, with over 34 different processes that go into ensuring their custom printers are continuously delivering repeatable parts to meet their client’s expectations. Prodpoint offers a range of materials (ABS, TPU, PC to name a few) that suit various applications in the Automotive, Medical, Transportation, Research, and various other design-related sectors. Whether a 3D print farm is right for your project or not, the engineers at Prodpoint are here to offer you free advice on getting your project manufactured. Gartner suggests that there will be 6.7 million 3D printers sold by the year 2020. Whilst at its core 3D printing is fundamentally less wasteful than traditional, subtractive manufacturing methods, the use of plastic as a feedstock has the potential to exacerbate the global plastic epidemic. 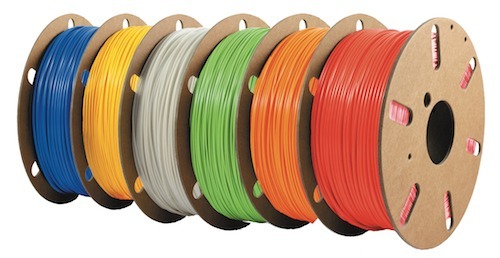 Filamentive is a producer of high quality 3D printing filament. With a focus on sustainability, Filamentive have developed a reputation for advocating the use of bioplastics and recycled materials, without compromising on quality or mechanical properties. Providing a range of materials to suit a number of applications, Filamentive are suppliers to more than 3000 makers, businesses and universities. When Filamentive approached Prodpoint to help them reduce their impact on the environment, it was clear the solution was beneficial for both parties. The partnership has enabled Prodpoint to deliver sustainable end-use parts that uphold incredible quality. The amazing end result is that waste plastic is now being brought back into the supply chain where it isn’t harmful, and where it ends up being converted into useful parts.